Found one file extension association related to Sothink SWF Easy and 1 file format developed specifically for use with Sothink SWF Easy. 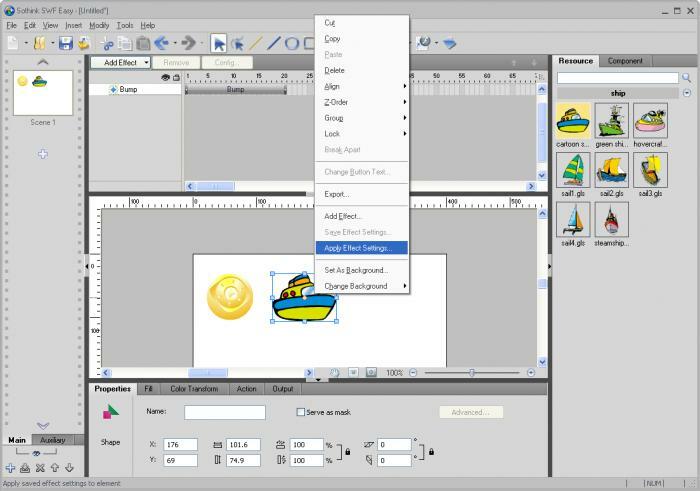 Sothink SWF Easy is one of the simplest, fastest ways to create eye-catching Flash animations (SWF) without the need of extensive designing skills – and without having to type a single line of code either. The program features a WYSIWYG interface where you can drag and drop elements, and align them on the background any way you want with the mouse. If you need more information please contact the developers of Sothink SWF Easy (SourceTec Software Co., LTD), or check out their product website.